"It began to swim but got into difficulty in the swell and breaking waves and went under water a couple of times." 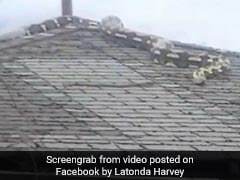 A video of the rescue was shared by Victoria Police on Facebook. Officers said they were called to Safety Beach in Melbourne on Saturday afternoon amid reports the native animal was struggling in the water. When they arrived, the roo had already made its way back onto dry land and was on the sand covered with a blanket by a beachgoer. But as they approached, it suddenly turned around and bounded back into the waves. 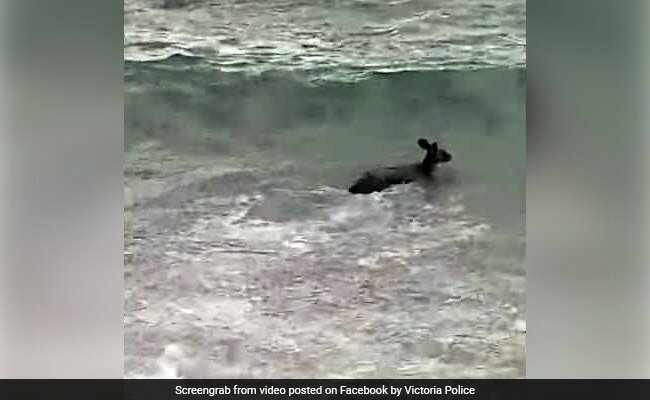 "It began to swim but got into difficulty in the swell and breaking waves and went under water a couple of times," Victoria Police said in a statement. Two officers jumped into the water and managed to bring the marsupial, by now unconscious, back to a grassy area and resuscitate it using compressions. They did not use the "kiss of life" -- mouth-to-mouth resuscitation -- a Victoria Police spokeswoman told AFP. The wild animal was then brought to a police station and after an assessment, officers said it was "in good spirits and lucky to be alive given the amount of saltwater he inhaled".